Figures released today by Transport for London (TfL) reveal that more people are using London Underground (LU) than at any point in its 152-year history. Close to five million customers (4.735 million) used the Tube on 9 October 2015, making it the network’s busiest day ever. The previous record was reached on Friday 28 November 2014, when 4.734 million passengers travelled on the Tube. The last week of October was the busiest ever week, with 28.614 million customer journeys. The previous busiest week was in December 2014, which saw 28.345 million journeys. 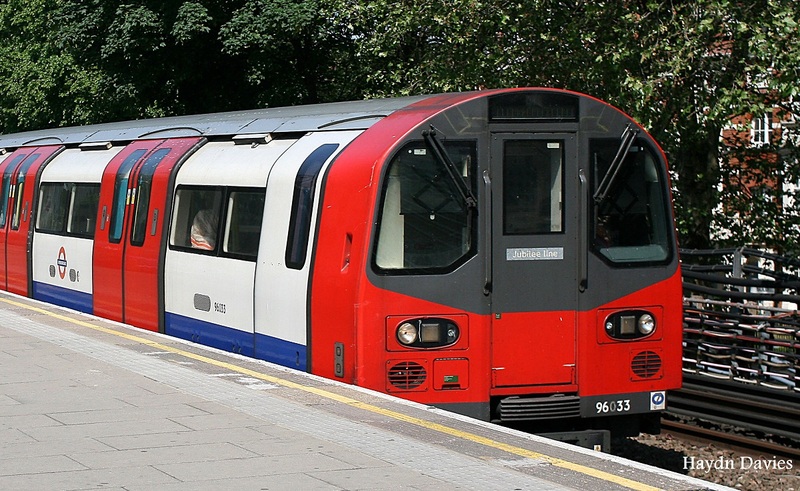 TfL expects both the daily and weekly records to be broken again before the end of 2015. Overall, the number of customer journeys on the Tube has increased by a third since 2001, with the rate of growth increasing in the last five years. The current work to improve London Underground is one of the largest programmes of infrastructure investment in the world. With each Tube line being overhauled it is the biggest upgrade on the network in 60 years. Major stations, trains, track and signalling are being modernised or replaced which is supporting 43,000 jobs across the UK and although there is still much to do, customers are already seeing the benefits. More frequent trains than ever before are running on the Victoria line and a new signalling system on the Northern line is providing a faster, more frequent and more reliable service. Because of the modernisation, journeys are now quicker, with an average reduction of two minutes, and delays down by 43 per cent in the last five years. Work to transform Victoria, Tottenham Court Road and Bond Street stations is well underway and Holborn, Bank and Camden Town stations will soon benefit from upgrades. Further upgrades are ahead, with new air-conditioned trains now serving the Metropolitan, District, Hammersmith & City and Circle lines, new signalling planned for those lines, and the radical modernisation of the Central, Piccadilly, Bakerloo and Waterloo & City Lines in the 2020s. Work on the Northern line extension to Battersea is due to start this year, which will support thousands of new jobs and homes and enable major regeneration in the Vauxhall, Battersea and Nine Elms areas. London is growing faster than any other European city. Its population of 8.6 million today will become nine million by 2018, and 10 million by 2030. The city’s public transport and road networks need steady and sustained investment to enable productive growth and the creation of the new jobs and housing the city needs. But is London's 24-hour Night Tube plan dying? With talks between London Underground (LU) and the unions at an impasse and showing little sign of progress, are there now further signs the idea of a Night Tube is withering? Previously London Mayor Boris Johnson has said the Night Tube could not be at "any cost" and today he told LBC Radio the weekend service was not "absolutely critical". Asked whether he could provide a date for the introduction of the 24-hour Tube, Mr Johnson said: "I've got to tell you this is something that the city of London has done without for 150 years. What I won't do is pay an unreasonable price for it, which Londoners would feel in their fares. "There's a very good deal on the table. I just hope that members of the Tube unions will get a chance to look at it. No-one will work more hours than they do today. Drivers have the same number of weekends as now. "I want you to know that this is something I think we should have but - I hope my attitude is clear - it is not something that I regard as absolutely critical." That is arguably a further shift away from a policy announced with much fanfare alongside the closure of ticket offices two years ago. Compared to the policy of closing ticket offices the differences are stark. LU forced those closures through even though the unions didn't want the changes. With the Night Tube it depends on the agreement of those same unions, but it cannot force the changes through without drivers. There also doesn't seem to be a sense of uproar from anyone that the plans for the Night Tube now seem to be in disarray; there is no start date and there seems to be political apathy around the whole idea. Of course there is much bluff and bluster during these talks, but it does makes you wonder if it'll ever happen? London transport bosses have revealed for the first time how long it takes to walk between Tube stations with a new map giving the distance between each stop on the network. The map, which covers Zones 1 and 2, replicates the standard Tube plan but adding a number between each pair of stations which are next to each other on the same line. It could have the paradoxical effect of encouraging people not to use Transport for London services - but officials say they want people to walk rather than take ultra-short Tube journeys. 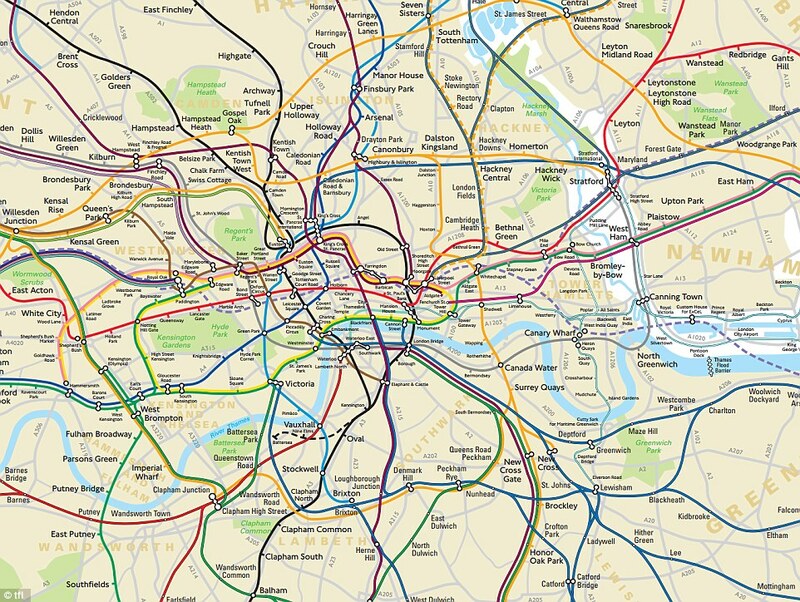 The map was created after a number of similar, unofficial images were made by Tube enthusiasts and gained popularity among commuters. 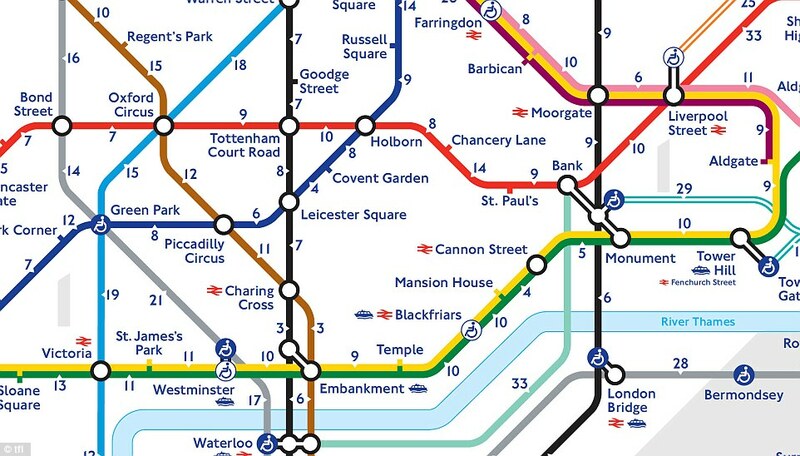 The map vividly shows how in the City and the West End, some stations are so close together that it would probably be quicker to walk between them than take the Tube. For example, it takes just four minutes to walk from Leicester Square to Covent Garden, or Cannon Street to Mansion House, while there are only three minutes between Charing Cross and Embankment - which used to be a single station. By contrast, it takes more than half an hour to walk between Bethnal Green and Liverpool Street, or King's Cross St Pancras and Highbury & Islington. Some commentators have used the revelation of the map to argue for the construction of new Tube stations in areas where there is an unusually large distance between stops. Despite the potential loss of its revenue, TfL encourages travellers - especially tourists, who may be less familiar with London's geography - to walk rather than take short Tube journeys. 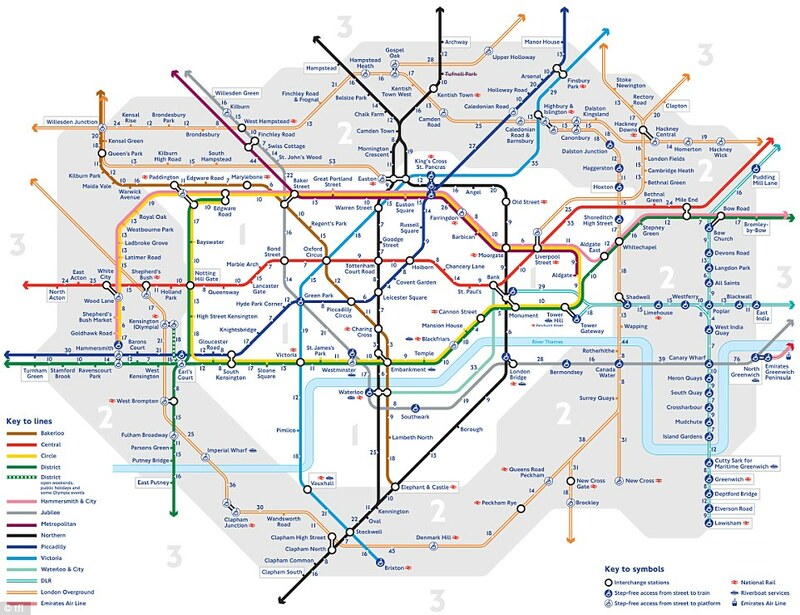 Gordon Innes of London & Partners, which promotes the capital on behalf of Mayor Boris Johnson, said today: 'The new Walking Tube map is a great new resource for visitors to London. 'Although the Tube is the most used transport method by visitors in London, stations for many of our top attractions are within walking distance of each other. Earlier this year, a secret TfL map which shows Tube lines on a realistic plan of London came to light for the first time.